NOW SOIL ASSOCIATION CERTIFIED ORGANIC! 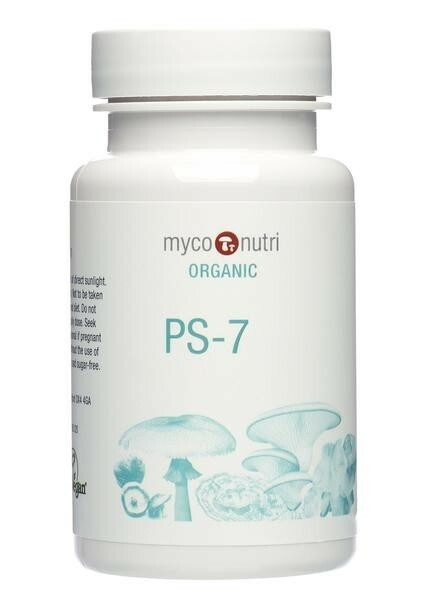 MycoNutri Organic PS-7 is made up exclusively of polysaccharide-rich hot-water extracts from seven mushrooms: Ganoderma lucidum (Reishi), Grifola frondosa (Maitake), Inonotus obliquus (Chaga), Lentinula edodes (Shiitake), Pleurotus ostreatus (Oyster Mushroom), Trametes versicolor (Coriolus) and Tremella Fuciformis (Snow Fungus). Minimum 30% beta-glucans. The high concentration and diverse structures of beta-glucans and related polysaccharides that it contains makes it ideal for broad spectrum support in chronic and acute conditions as well as during conventional treatment.